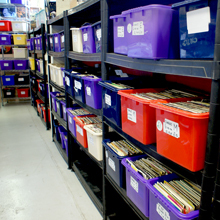 Based within the Baytree Garden Centre, Uptown Vinyl Records stocks a huge selection of vintage and collectable 12" vinyl records, 12" & 7" singles, new vinyl records, CDs, music memorabilia and more! We're sharing our space with the Strange Apparitions shop which offers a great range of new and vintage comic books, graphic novels, vintage toys and collectables! 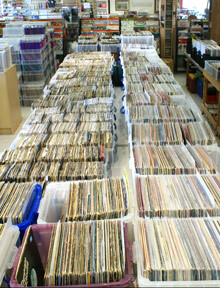 We're always working hard adding more vinyl records so there is always something new to see. We believe we are the biggest and best vinyl record shop in Lincolnshire, and possibly one of the best in the country! 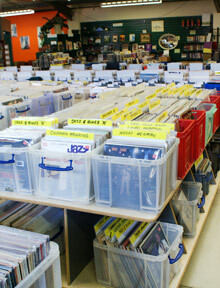 Thousands of Vinyl LPs, 12" and 7" Vinyl Records and CDs in store! 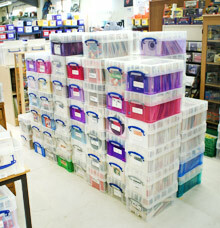 New stock arriving daily! Our store in Stamford Corn Exchange's Shopping Arcade has a selection of around 1,800 vinyl LPs in a variety of genres including rock, pop, classical, jazz, soundtracks, compilations and more, and a selection of CDs. Also on display are some interesting artwork including signed prints by pop artist Eduardo Paolozzi. There's also a great selection of antiques and crafts from other sellers, so there's plenty to see! A selection of 500 vinyl LPs are available, and the stock is being regularly refreshed with new titles. Thousands of LPs, 7" & 12" vinyl singles and CDs from all genres - including rock, pop, soul, jazz, funk, folk, metal, indie, punk, classical and more! Just £1 each, or 12 for £10. 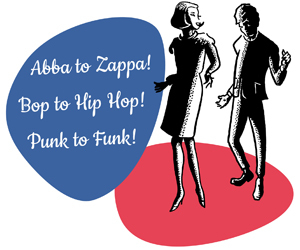 A great chance to stock up your jukebox! Over 2000 soul and funk singles, a great selection of Northern Soul, and complete runs of Motown and Tamla Motown 7" vinyl. We even have a selection of audio cassettes and 8-Tracks! Baytree Garden Centre is a huge complex, it's much more than just a garden centre! There's loads of things to do for all the family, so there's plenty of other things for them to enjoy while you're browsing in our store!